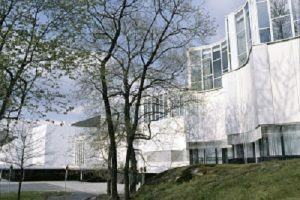 The conference will be held in Helsinki, at the Congress Wing at the Finlandia Hall. Some sessions are possibly held at the National Museum of Finland, right across the Finlandia Hall. 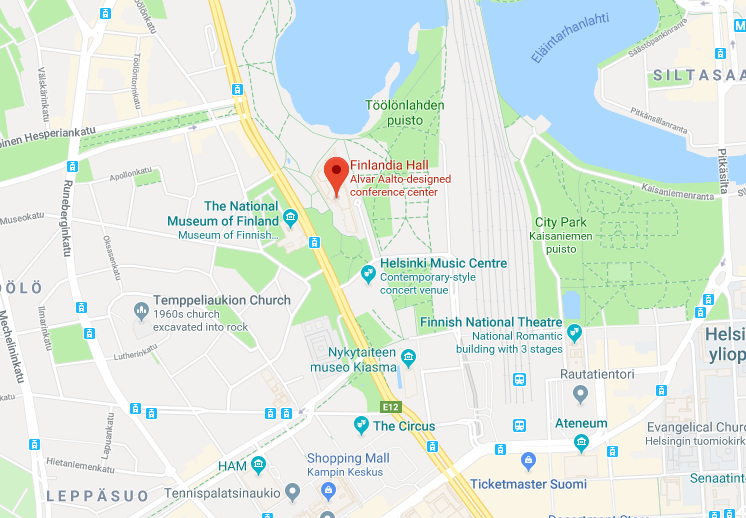 Finlandia Hall is located in a park on Töölönlahti Bay in the centre of Helsinki, address Mannerheimintie 13c, only 1,5 kilometres from main bus station and 1 kilometer from main railway station. It is easily accessed from Helsinki Airport. Tram and bus stops can be found right in front of the building, and the hall is only a short walk from the city centre. Visitors are also welcome to use the car parks near Finlandia Hall. Additional info on location and transportation is found on Finlandia Hall website. WORK2019 is organized at the Congress Wing of the Finlandia Hall, marked as blue in the floor map. The main entrance of the conference is M1. 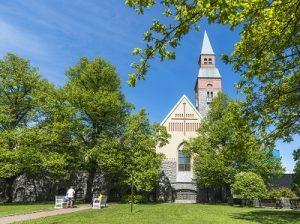 The National Museum of Finland presents Finnish history from the Stone Age to the present day, through objects and cultural history. The museum is a part of the National Board of Antiquities, under the Ministry of Culture and Education. The Finnish National Romantic style building is located in central Helsinki, right across from Finlandia Hall, address Mannerheimintie 34. Click the photo to open the map in a browser.